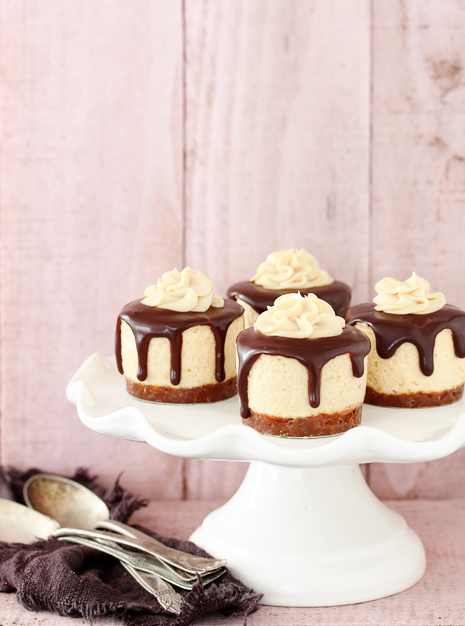 As if these mini Butterfinger cheesecakes from Bakers Royale weren't tempting enough, they actually have me thinking of another dessert idea. 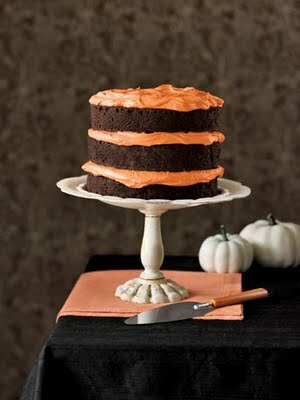 A Halloween dessert. And combined them to make Miss Ruby's birthday cake. It was layers of chocolate cake and Swiss orange ice cream topped with hot fudge. Delicious, but the Swiss orange is more of a sherbert and the hot fudge was a little too hot, so it was a melted mess pretty quickly. But this year I think I am going to take Naomi's miniature cheesecake approach and layer chocolate cake (or brownies) with homemade orange ice cream and chocolate ganache on top. 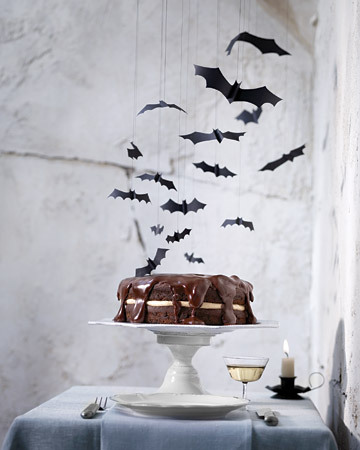 I might have to shoot Naomi an email and get some tips for making gorgeous chocolate drips.